Saisir la perche | One quality, the finest. 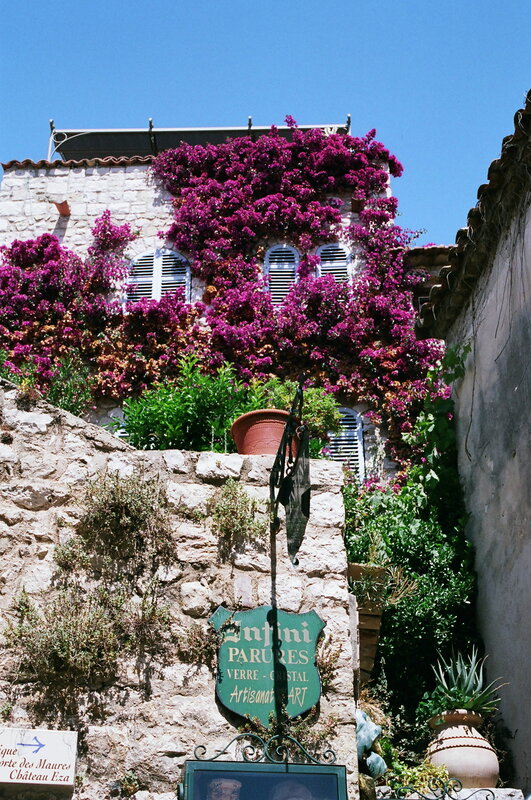 Eze, le village is a great place to travel to on a wintry day – even if only in my mind. It’s a classic village perché high on a cliff with a fabulous view of the Mediterranean Sea. I was there in 2008 when I was studying in nearby Antibes. Traces of the village date back to the Phoenicians, but the part that stands today is relatively new – it’s only medieval. 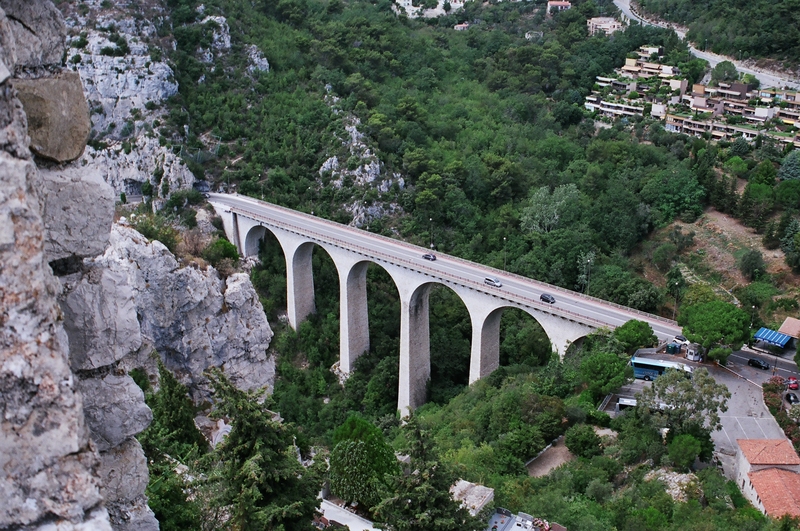 When the railroad came through, Eze sur Mer, or “on the sea,” came to be and the Jazz Age writers and artists showed up. After getting off the train at Eze sur Mer, you wait for bus that comes once an hour to churn to the top of the hill to the real Eze. There is a trail that takes about an hour to hike – straight up and in some places the path is more suited to mountain goats, so be careful if you choose to walk it! You can also grab a cab for about 20 Euros each way if you’re feeling flush with cash. One inside the walls, wander at will. 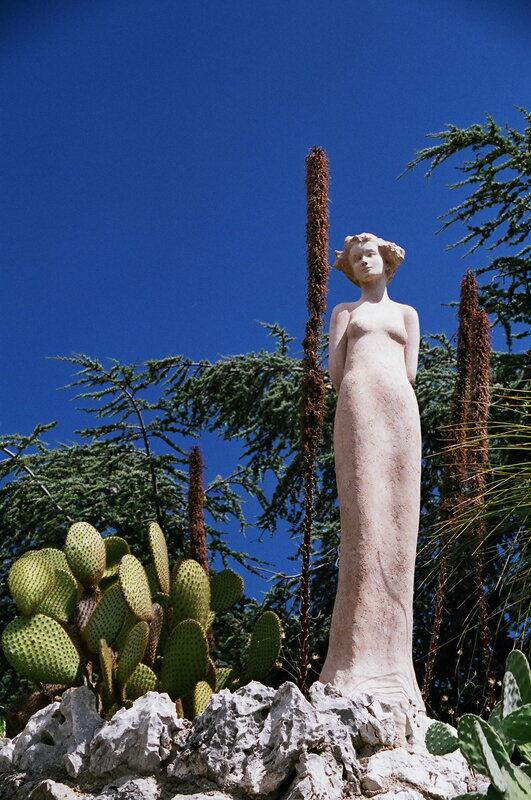 The narrow streets lead you in circles that ultimately take you to the Jardin Exotique where sculptures of attenuated women live among enormous cacti. The views of the sea and the coastal roads, or corniches, from this vantage point are amazing. 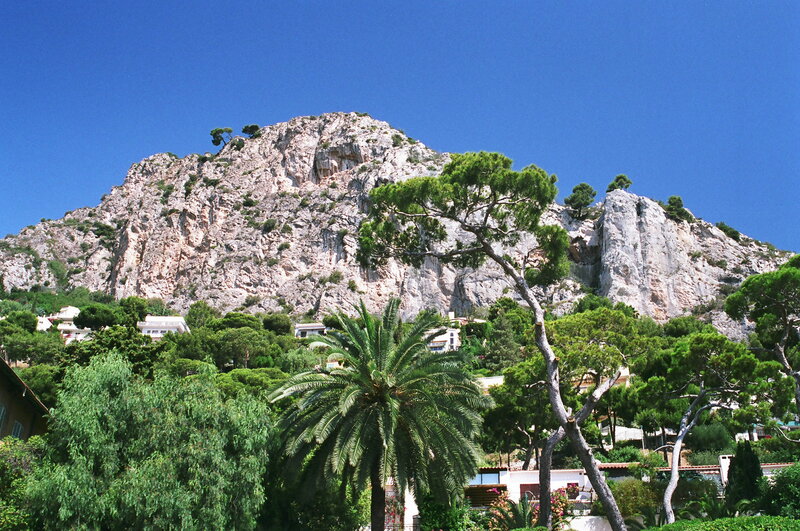 Grace Kelly and Cary Grant filmed To Catch a Thief in and around Eze, so you may recognize some of the film’s locations. (Tragically, it was also on one of these same corniches where Kelly lost her life in a car crash.) Eze itself is simply beautiful. The warm stone walls are covered with bougainvillea and fragrant jasmine. There are plenty of boutiques and restaurants to visit, but the real pleasure lies in wandering around until you’ve figured out your plan for how to move here permanently. Bono is just one of the celebrities who lives nearby, so you’ll have interesting neighbors when you come back to stay. Today’s expression, saisir la perche (sayzeer lah persh) means “to seize the perch” or to grab the helping-hand you’re offered in a time of trouble. If you can’t seize the opportunity to live in a medieval village perched on a cliff, you should at least make a point to visit Eze if you’re in the Côte d’Azur now that my blog has lent you the helping hand of how to get there. This entry was posted in Travel and tagged Côte d’Azur, Eze-le-village, France tourism, Jardin Exotique d'Eze, saisir la perche, To Catch a Thief. Bookmark the permalink. Love this…my parents, she from NYC and he from Vancouver met at a party in Eze, so I am very curious to visit it one day. Je crois que l’on dit “saisir LA percher” et non pas “LE”. Vous avez raison en ce qui concerne l’article! Merci pour l’avertissement!